We understand that it can get very demanding when you're planning your move. That's why we are here to offer the most hassle-free and cost effective relocation service for your home relocation needs, whether it's Domestic or International. 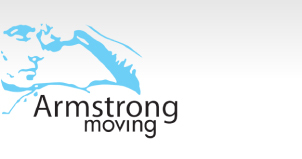 ARMSTRONG will provide you with the best solutions for all your relocation problems. We guarantee you that moving to your new location will be stress-free. 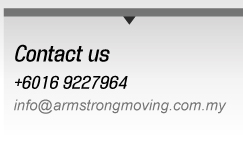 You'll first receive a free estimation from our ARMSTRONG consultant for absolutely no cost or obligation. Should you require our services, we will gladly manage your entire relocation process from the estimation stage to the final follow-up, and everything in between to help you get settled in your new location with ease. Let us handle the details while you enjoy moving into your new home. 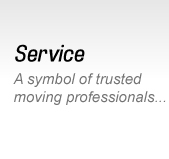 As members of the IAM Network and AMSA, our reliable partners are among the world's leading relocation companies. 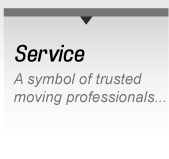 Armstrong Moving's chain of offices is proud members of both networks and adhere to the highest standards of control quality and quality improvement. 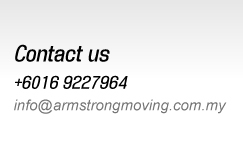 The owners of Armstrong Moving (M) Sdn Bhd have travelled across America, Europe and Asia to understand the crucial ingredient in a successful moving process and have perfected the move management system to adapt and blend in to the modern world.